Cloud technologies have the potential to provide numerous advantages. Just-in-time provisioning, CapEx->OpEx consumption, and Elasticity to quickly scale up/down are just some examples of the benefits that can be gained from adopting Cloud. However, many organizations are still challenged with finding the right Cloud deployment model and optimized configurations in which to effectively meet their IT and Business requirements. 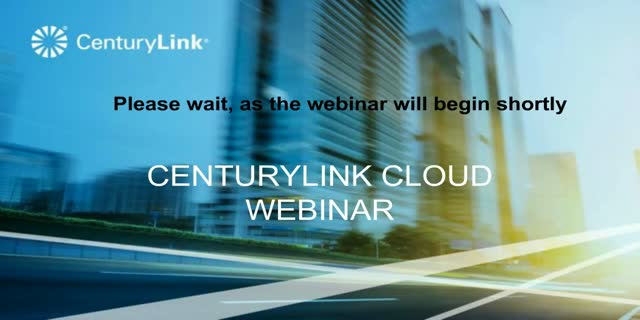 If you are seeking to better understand how to leverage Cloud, then you should attend this interactive seminar from CenturyLink - an Industry leading Cloud provider for more than 9 years. Accurate power monitoring is an essential for any data centre operator. It's crucially important that you get it right, in order to be able to track and improve your processes, yet most data centres have an overly complicated and inaccurate system of power monitoring. Socomec will be explaining how this is changing in this exclusive webinar. Join us for this high-level roundtable on the impact that the edge is having on the data centre industry. Driven by new and exciting technologies such as the Internet of Things and self-driving cars, the traditional landscape of hyperscale, colocation and edge data centres is set to dramatically change. Hear from expert representatives from Delta and moderator Ian Bitterlin to find out everything you need to know on how the edge will impact the data centre - from top to bottom. FNT provides a guide to overcoming networking challenges in the data centre. With the increasing growth of, and dependence on, digitisation the demand and expectation of instant on-demand IT services has never been greater. Loss of availability is just not an option for any IT service provider. A vital element in providing this is the installation of a UPS system to provide clean, stabilised, and uninterrupted electrical power to critical IT infrastructure. Add to this the continuing rise in energy prices means that making an informed judgement of the right type, and topology, of UPS system to install is of vital consideration not only from a customer perspective but also from a commercial and CSR environmental standpoint. In this webinar Mike Elms will look at the main drivers for UPS development over the last 20 years from the traditional monolithic standalone blocks to the latest high-efficiency modular systems now becoming more commonplace, and how these UPS units are designed into the most commercial topologies whilst still maintaining the market demands of high availability, low maintenance, and lifetime costs. Finishing with an aide memoire to assist any potential user of UPS systems in making a more informed evaluation of varying proposed systems versus their actual requirements. With the massive growth in data centres and data centre technology comes a need for tighter security and compliance around increasing data security requirements. The webinar will look at the data compliance landscape and demonstrate how taking electronic, intelligent security to the data rack level helps to achieve data security compliance and reduce the risk of accidental or intentional data breach. The webinar will offer detailed information around the new rack level security solutions currently being adopted by the industry and demonstrates how easy the solutions are to integrate with existing security software, building security and DCIM systems. The session will also include a walk through of retrofit installation for those considering retrofitting existing data cabinets with electronic locks. - Enables versatility and choice- Works with PDUs, DCIM, Softwares..
BrightTALK discussed with Naveen Miglani, CEO and co-founder of SplashBI, the relationship between BI and digital transformation. 1. What is the future of BI? 2. What are the implications of AI and machine learning on BI? 3. What's the impact of digital transformation in the BI sector and vice versa? 4. What can organisations do today to best prepare for all the changes? 5. What are the key challenges for businesses in adopting and implementing a BI solution? 6. What's the role of IT now in a self-service BI environment? 7. Where are we seeing the most ROI when purchasing a BI reporting tool? Naveen Miglani is the CEO and Founder of Splash Business Intelligence and EiS Technologies. Naveen has more than 25 years of industry experience, including corporate strategy, service offerings, and business intelligence. Prior to joining EiS Technologies, Naveen held leadership roles at GE Energy and Oracle Corporation, as well as worked across many departments, including IT, Management, Business Development, Marketing, and Finance. Naveen holds a BS in Engineering and an MBA with a major in Information Systems and International Business from Mercer University. In this conversation, Alex and Frank are revealing the results of the annual research performed by Cloud Industry Forum in regards to the current state of digital transformation in the UK. The discussion covers the importance of cloud for digital transformation, as well as other "a ha" moments to expect in 2017. Scott Cairns, CTO of T-Systems, discusses with Frank Bennett, what are the challenges and opportunities in the telecommunication industry. We interview Ray O’Farrell (Chief Technology Officer and Chief Development Officer, VMware) & Richard Munro (CTO Cloud Services, EMEA, VMware) to find out what they think about the digital IT revolution and what is the role of CTOs and CIOs in this regard. - What are the main prerequisites for digital transformation? Is there such a term as “being ready or not” for digital transformation? - How can companies pursue digital transformation in case they don’t have a strategic expertise in house nor any experience in platform building? - Does the type of cloud define the way digital transformation is going to progress or digital transformation defines the cloud strategy that the enterprise should adopt? - How does DevOps and Containers fit into the digital transformation process? How do they contribute to innovation? - What are the best reality checked strategies to accelerate transformation? In this interview Christopher Wroath, Director of Digital Transformation, NHS Education for Scotland, shares with us the lessons he has learned from his digital transformation experiences and how his current job is different from all the other ones he had in the past. Christopher is a digital leader working in the Scottish NHS to transform a disparate and complex information landscape into a single unified environment putting individual members of the NHS and social care workforce at the centre of delivery. Defining and delivering the NHS Education for Scotland (NES) vision for a comprehensive digital transformation by implementing dynamic change through innovative and agile approaches to technical, cultural and organisational challenges by leading the design and in house build of the NES Digital Platform. In this discussion, Nigel Williams, IT Evangelist at Commvault, described what it means to drive digital transformations in the cloud. Nigel Williams is an IT Evangelist and responsible for Marketing in EMEA at Commvault. Prior to his current role, he held the same position at OpenText and a variety of senior positions at EMC/Legato and EMC/Documentum. Nigel has over 25 years experience in Information Management and is a keen industry watcher. He holds an Honours Degree in English Literature and also studied Electronic Engineering as part of his entry to the IT industry." Daniele Catteddu is an information security and risk management practitioner, technologies expert and privacy evangelist with over 15 of experience. He worked in several senior roles both in the private and public sector. Daniele is member of various national and international security expert groups and committees on cyber-security and privacy, keynote speaker at several conferences and author of numerous studies and papers on Risk Management, Cyber Security and Privacy. Currently he is the Chief Technology Officer, at Cloud Security Alliance, where he is responsible to drive, on a global scale, the adoption of the technology strategy roadmap within key CSA lines of business: Research, Membership Services, Standards, Education and Products. He identifies technology trends, global policies and evolving social behavior and their impact on information security and on CSA’s activities. Daniele leads the product management for CSA and chairs the Futures Advisory Committee. Jez Back, Senior Manager in Cloud, Deloitte, joined BrightTALK for an interview to share what enterprises are doing right and wrong with cloud deployment. Jez is a cloud technology specialist and technology platforms & mobility SME, creating ecosystems of alliance partners to drive value in business transformations; with a proven record of delivering outstanding results in diverse high-pressure environments for 10 years in the technology sector. Mathew Finnie, CTO of Interoute, got on camera to analyse with Andrew Bird, EA Visionary, the impact of global political and economical changes on digital transformation. Never afraid to challenge the status quo of existing technology and traditional industry thinking, Matthew Finnie is one of the most provocative technology thinkers in Europe. When Matthew became Interoute¹s CTO, he had a vision that if companies centralised technology development, then Europe could produce technology success stories on par with Silicon Valley. Proving that the US model can be put to work in Europe, Interoute now owns and operates the largest networked cloud computing asset in Europe and is redefining how businesses deploy advanced communications platforms in the Cloud. In this interview John Abel, the Head of Technology and Cloud for UK, Ireland and Israel at Oracle, is discussing the latest innovations in the cloud and how these impact the modern business environment. - "What does lobsters have to do with innovation"
John Abel has worked with Oracle for over 20 years and during this time he has worked in Support, Applications, Technology and Consulting. More recently John has been in Oracle Systems for four years. John's main focus now is Engineered Systems and Oracle Database Cloud (Database as a Service) across Europe, Middle East and Africa and he often uses his prior experience to explain all aspects of technology to customers. In his presentations, John relates to actual customer experience and provides real world answers to real world problems. John is also a successful Oracle Press Author and using his experience of over 300+ customer engagements has produced publications explaining the Oracle Technology and Applications. BrightTALK caught up with Darren Thomson, CTO & VP of Technology, Symantec, for an in-depth conversation on the future of cybersecurity in the context of IoT, AI and Machine Learning. Darren is an industry recognised IT innovator and strategist, with +20 years of industry experience. He is a published author. His latest work has recently been published by Wiley Co. and is entitled, “Delivering Utility Computing: Business Driven IT Optimisation”. Details can be found at www.amazon.com. In this interview, Simon Ratcliffe, Principal Consultant & IT Evangelist, Ensono, shared with us ideas, recommendations and best practices on how to deliver DevOps in a legacy world. - Is DevOps for the legacy world? - What are the challenges of DevOps for legacy systems? Jason Man, the Head of DevOps, ECS-Digital, shared with us his views on how DevOps and Digital Transformation interact with each other and whether DevOps is a prerequisite to a successful digital transformation programme or not. - DevOps and Digital Transformation - are they for everyone? Jason is a DevOps practitioner covering roles in Development, Build and Release Management to Continuous Delivery and DevOps consultancy across clients in different sectors and across the globe. In this interview, Sandra Bell, Head of BC & ISDG Consulting (Europe), Sungard, will share with us how tech innovations impact the moderb BCDR strategies. Sandra is a seasoned risk and business continuity professional with over 25 years’ experience of the design and management of strategic, business friendly risk, continuity and security solutions in public and private sectors. Experience ranges from: the management of risk and the protection of data within the UK’s main business process outsourcer to the financial and government sectors; to the protection of the largest part of the UK’s critical national infrastructure.